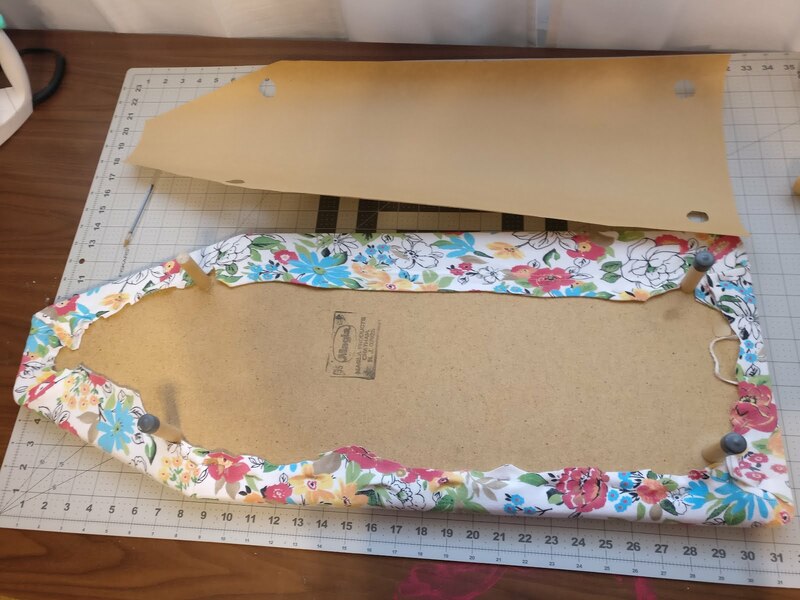 So, I got this little ironing board at a yard sale for a couple of dollars. 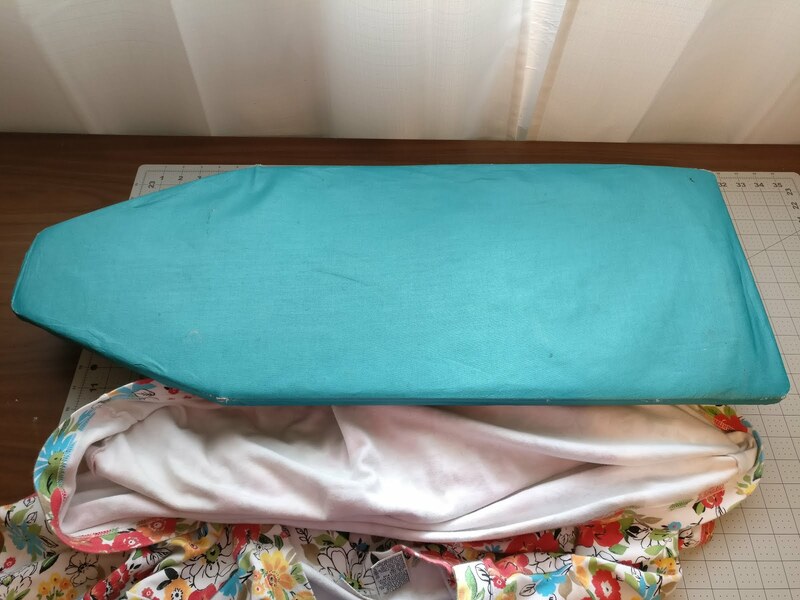 It was a little answer to prayers, cause I needed an ironing board, but I didn’t want to: 1. Take up too much space, or 2. Spend very much on it. I don’t even iron that much, so there was no need to be extravagant. After I got this one, I was grateful for it, but it didn’t really make me “happy” to look at it…which isn’t important, but as small as my craft room is, I want everything in there to make me happy. So. I took a GIANT shirt that I got at a different yard sale for 25c…. 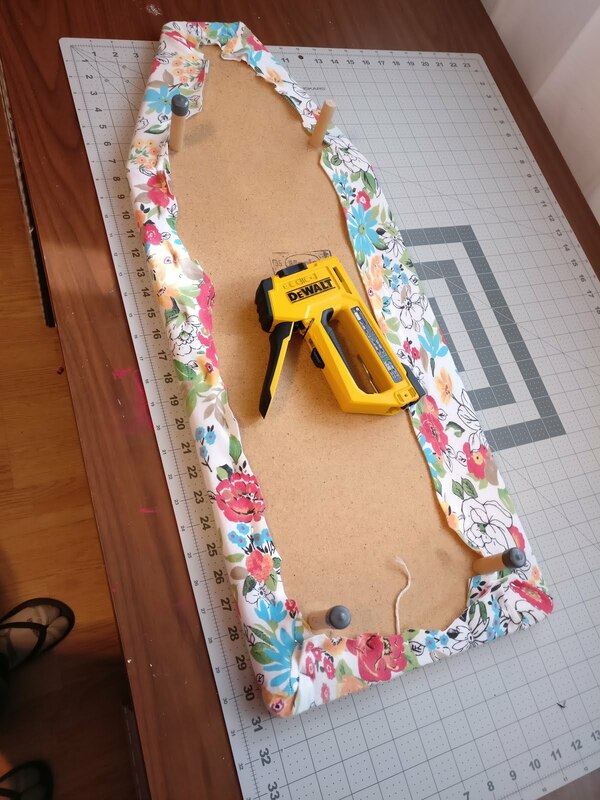 I flipped the ironing board over on top of the fabric, pulled the fabric tight, and used my nifty difty Dewalt (not affiliated, we just like Dewalt) staple gun to attach it to the bottom of the board. 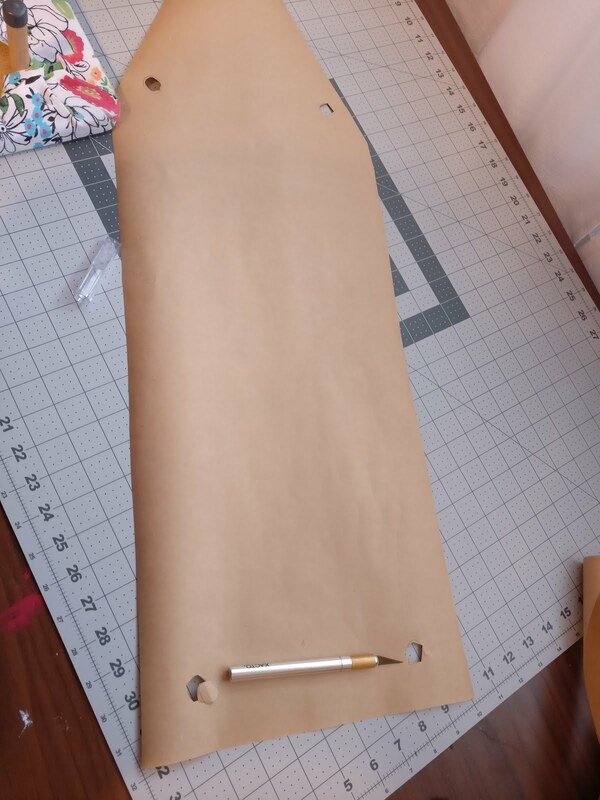 I cut off the excess fabric…. and it looked something like this. See my socks with flip flops?… Classy. Anyway, the bottom was fine, but a little….unfinished? 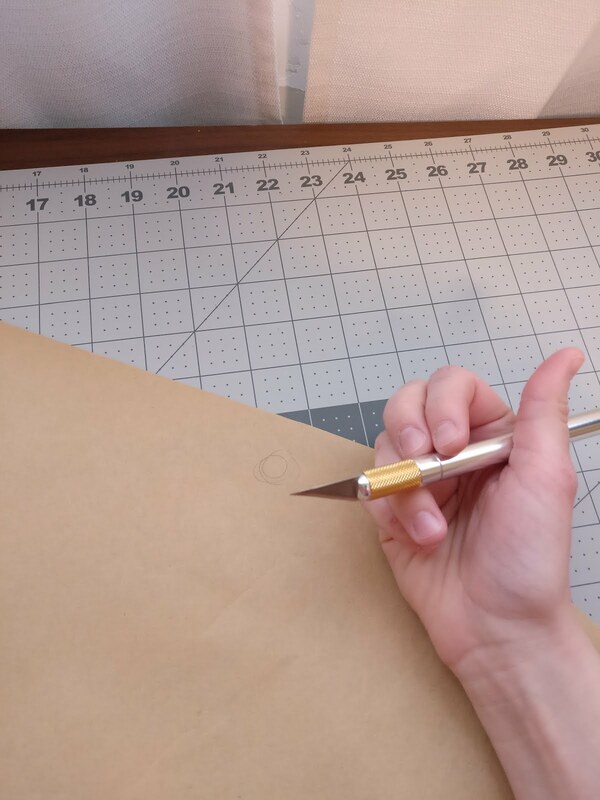 So I took some brown paper and a pencil, and I traced around the edges of the board, and cut out a rough shape of the board. And then I took an Xacto knife…. And sliced out the little holes. I didn’t care if it was perfect, cause really, nobody is going to be looking. And I trimmed a little off of the sides of the paper, so that the paper didn’t go quite to the edge. Then I stapled the brown paper on! 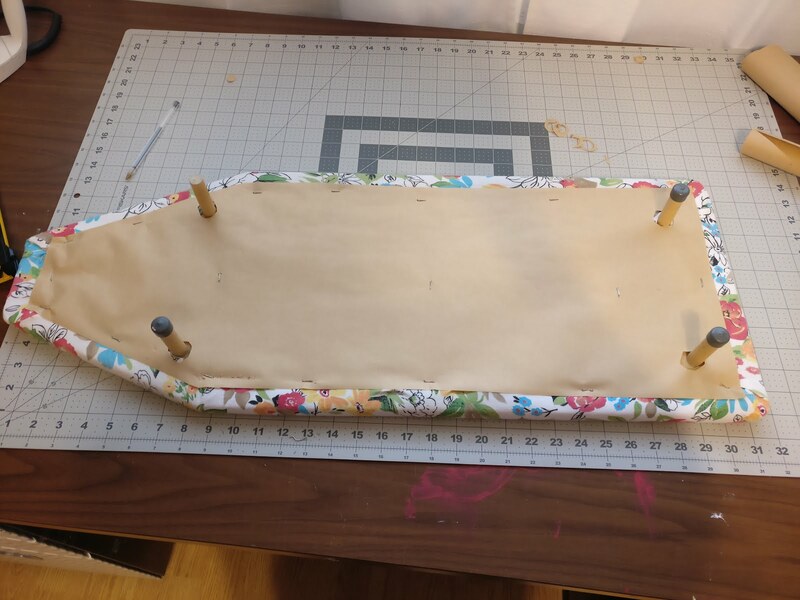 Depending on the material of your ironing board, you might have to use the staple gun. And flipped over, it looks magnifique! 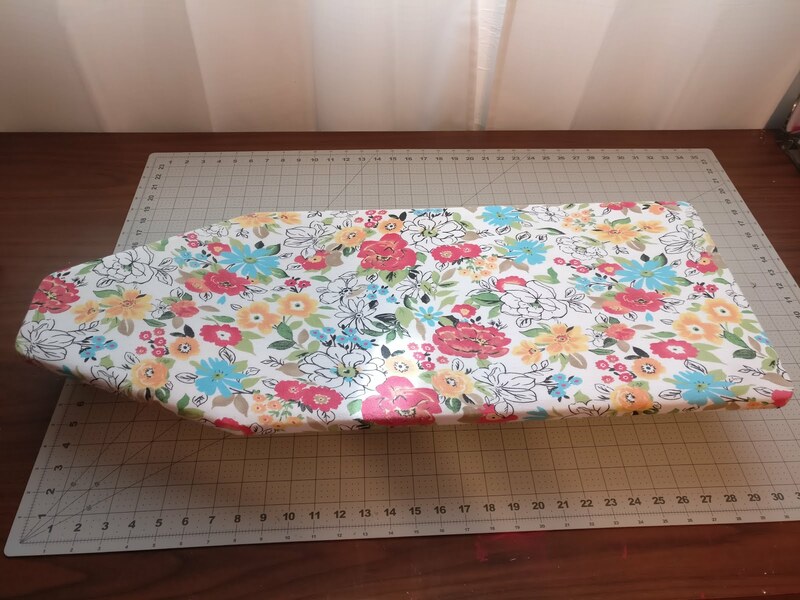 Now, in very little time, and with very little money, I have a simple ironing board that brings a little sunshine to my craft room!